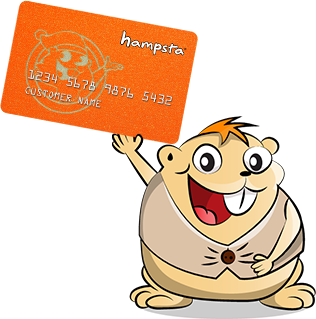 hampsta is a 100% New Zealand owned and operated Christmas Savings Club. We pride ourselves in providing a unique service to over 20,000 Kiwi families since our humble beginning in 2008. The festive season can be an overwhelming period for many, especially when you’re planning a bigger and better Christmas than the last one. That’s why we’re here, to help you plan and save before the real festive-work begins. We believe in the Kiwi Christmas spirit and want you to too! Our mission is simple, we want to help every hampsta family plan for a bigger, better and more magical Christmas than their last. We put away your hard-earned contributions so that when December rolls around, you have a generous pot of hampsta dollars waiting for you to spend. It’s as easy as choosing an amount and the frequency of your contribution, then all you have to do is sit back and watch your hampsta bank increase in value over the weeks and months. Then the real magic happens! The hampsta Team considers this to be our pre-Christmas party where we make our hampsta families’ wishes come true! It’s our favourite time of the year when we get to unlock their account from 1 December – 10 January and let them spend, spend, spend at over 1,400 retail stores. Learn more here. Why not? We believe that every Kiwi family should have the Christmas of their dreams! By choosing to save with us right now, you will get a little more than you would if you choose to save later in the year. There is no point waiting, the time is now; especially with our great Member-only deals, promotions, draws and competitions. By joining our exciting Christmas Savings Club, you can afford to buy more prezzies for the kids, more meat for the BBQ and invite more guests to the family gatherings. 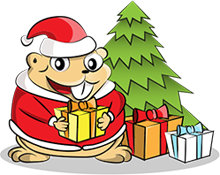 Spread the Christmas cheer and plan, save, spend with hampsta. Teach your kids the art of saving by opening a hampsta Junior Savers Account. It's great for groups, too! Open a hampsta Group Account and grow your funds from member contributions.